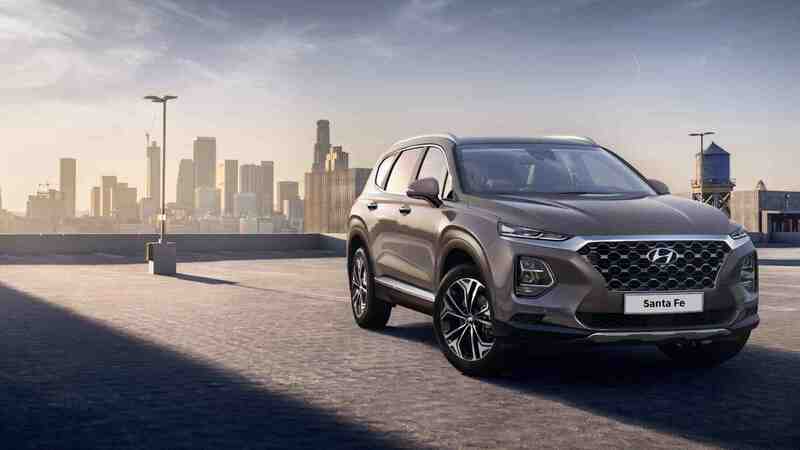 Hyundai dealerships in Ireland are the first in Europe to have taken delivery of the all new Santa Fe. The latest generation of the popular seven seat SUV will be available for the 182 registration period and finishes off the company’s strong SUV line up which includes the best-selling Tucson and new compact Kona crossover. Taking styling cues from the Kona, the new model adopts Hyundai’s bold new design language with a large cascading grille and composite LED lighting. The range will start at €41,995 for the entry level Comfort Plus and standard features include automatic air-conditioning, touchscreen infotainment, cruise control, a heated leather steering wheel, rear parking sensors, roof rails, and automatic lights and wipers. Executive Plus (from €43,995) will add 18’’ alloy wheels, heated leather seats, rear air-conditioning, wireless phone charging and Apple CarPlay/Android Auto. Top of the range Premium models get 19’’ wheels, electric seating adjustment, a head up display, advanced smart cruise control, and a larger 8 inch touchscreen display. Available only in four wheel drive automatic, this tops the range at €57,495. While the new Santa Fe is yet to face the Euro NCAP safety test, there’s an impressive amount of safety kit on offer including blind spot collision warning, forward collision avoidance assist with pedestrian detection, rear cross-traffic alert, lane keeping assist, rear occupant alert, safety exit alert and speed limit information. The powertrain remains unchanged with a 2.2l diesel engine under the hood pushing out 197hp. It’s available in both two and four wheel drive, and with a manual or automatic transmission. The car will be an important launch on the Irish market where demand for seven seat SUVs has increased hugely on foot of Skoda’s hugely successful Kodiaq and Peugeot’s 5008. The Santa Fe is available to test drive now at your local Hyundai dealer.